When it comes to recreation, Beloit has just about everything residents need. There’s open swim Monday through Friday from noon to 5:30 p.m. and weekends from noon to 6 p.m. 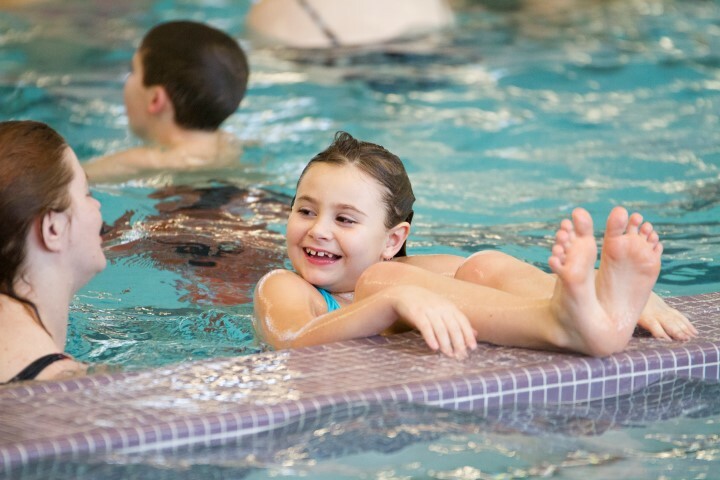 There are swim lessons for all ages, as well as low impact water aerobics Monday and Wednesday. The Krueger Pool is the home to the Krueger Pool Swim Team with over 180 kids. Every summer local swimmers ages 6 to 18 have the opportunity to practice and participate in swim meets. “They’re getting their feet wet in terms of what it takes to become a competitive swimmer,” says Waite. In addition, Krueger Pool was named the “best pool hands down in Rock County” in 2011 by the Janesville Gazette. Krueger Pool is also available to rent for birthday parties, family gatherings and other special events. Krueger-Haskell Golf Course is located on the west side of Beloit. When the course opened it was originally a 9-hole course, but expanded to an 18-hole course in 1931. The unique layout features, mature trees and rolling terrain making it a challenging and enjoyable course for any golfer. Golf Digest also gave a high marking, by naming Krueger-Haskell Golf Course as a “Best Places to Play” in 2008-09. There’s plenty for older adults to do at Grinnell Hall, 631 Bluff St. “Grinnell Hall provides the senior community a place to visit and enjoy activities and meet new friends,” Waite says. Annual memberships are available. In addition to local programming, members enjoy various trips to destinations such as Lake Geneva, Chicago and Wisconsin Dells. Grinnell Hall is one of the meal sites for the Rock County Nutrition Program where well-balanced nutritious meals are served Monday through Friday at noon. People ages 60 and older are eligible to eat for a donation. Speaking of special events, in June, recreation enthusiasts from all across the Midwest congregate in Beloit for an annual triathlon. The popular event includes a 400-yard swim at Krueger Pool, a 13-mile bike ride from the pool to country roads and a 5K run around Krueger Park.